Ever been locked out of your car, house, and business? It is extremely likely that you have, quite a few times maybe in more than one situation that you finding hard to forget. Such lockouts are a common occurrence that often catches the most vigilant of us off guard. If ever you are facing a house lockout, car lockout, or business lockout, do not hesitate to use the professionals for your locksmith needs! Call us and find quick and easy solutions to your problems with a guarantee to 100% satisfaction and without neglecting professional work! 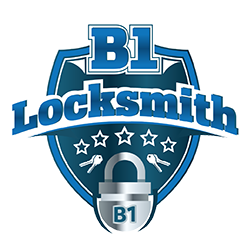 Locksmiths are the best professionals with years of experience in the field. Their employees strive to offer fast, efficient, and friendly services to all our clients. One of our most prominent services is the fact that we offer round the clock service every single day. This service is proudly known as mobile locksmiths. Mobile locksmiths are available at your need every single day of the week. If ever you feel burdened by a lockout, call us for the fastest solutions to your problems. A single call to us will lead to the closest locksmith visiting you and helping you out, any time of the day. Our locksmiths are at your command at all times, which means, they are making sure to satisfy your locksmith needs at all times. One of the most common problems we get alerted about is getting locked out of your house, car or business. In such cases, our professionals will visit you at your time of need and solve your problems. In case of facing a lockout, we can open the door for you and help you retrieve the keys. Thanks to our top of the line equipment and the great skill of our professionals, your property will suffer no damage whatsoever. Furthermore, our employees will have you back accessing your car or house in record time. Another major problem you may be facing is losing your keys, The frantic search for your keys leads to errors in judgment quite often. Understanding this situation, we offer the best solutions to your problem. Our professionals arrive at your location as soon as possible and make new keys at the very place. Often customers have to check with companies for their car keys, taking up a lot of time. Instead, our solutions consume much less time. In case of broken keys, our mobile locksmiths repair your old key while also offering you a new key. Not only will you have an old key that is good as new but also a new one! Despairing after suffering from a car, business, or house lockout is understandable. But our company exists to help you out with all your nerve-wracking problems. Our mobile locksmiths offer the best service and a lot of their time at the best rates. Most advanced equipment in the industry and most trained employees. So call us and avail the best service at the best price! With our help, lockouts will never feel as daunting as they used to be.